to the Google Admin mobile app for Android, today’s launch adds similar functionality to the iOS app, making managing users even easier. Check out the Help Center for more information on the Google Admin app for iOS. 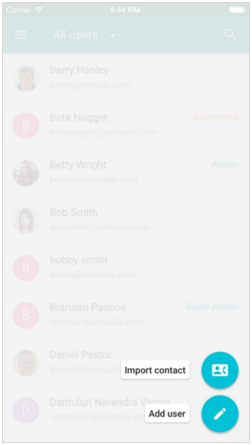 Following the recent upgrades to the Google Admin mobile app for Android, today’s launch adds similar functionality to the iOS app, making managing users even easier.